Faithware LLC is a faith-based company established to offer faith related jewelry and other items that point to our faith and highlight our trademark "HIO" (Hand It Over). Wearing our jewelry and filling your home with faith-related items is a constant reminder that God is with us and is always just a prayer away. Our trademarked HIO Bracelets are "prayers on the wrist" representing our trust in "Handing It Over" to the Lord. 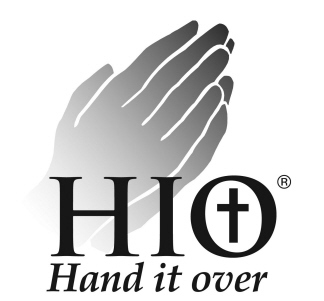 HIO reminds us to hand over, in thought, word and deed, our worries and problems and ultimately our lives to God. Our jewelry can make a meaningful gift for special occasions such as birthdays, graduations, first communion, confirmation, weddings and especially for every day life. Our faith related symbols for home will connect you with the constant reminder that God is always near. We have many new products and many new exciting projects coming soon, so please add Faithware to your favorites list and check back with us often. You can also check for the latest information on our News page. Please check out our blog Faithware Passages. It is about our faith journey. Along the way, we would like to introduce you to our family and friends that join us on this journey. Learn about their daily struggles and triumphs and see what God is doing in their lives. We will tell some stories, learn from others, have some giveaways, and hopefully have some fun along the way. To be kept updated of our latest Faithware additions, sales or special events, please join our mailing list below. Know that privacy is important to us; therefore, we will not sell, rent or give your name or address to anyone. At any point, you can select the "SafeUnsubscribe" link at the bottom of any email to unsubscribe. Thank you for joining. You will be asked to add more information on a pop-up window for the this link. If a window does not appear you may have your pop up blocker enabled which will block your next step.